PHOTO BY NICOLE WALBY The crib families are provided through Seneca County General Health District’s Cribs for Kids. 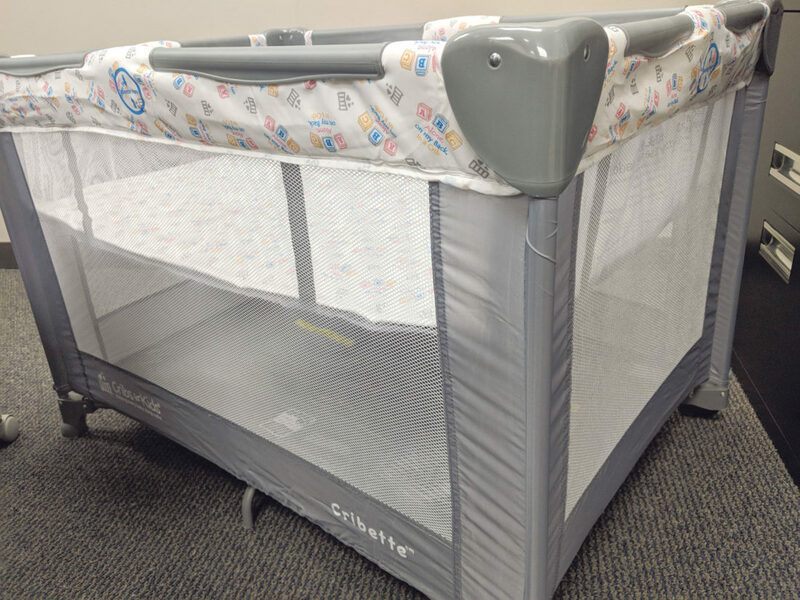 Families are being reminded about the Seneca County General Health District’s Cribs for Kids program, offering parents a safe sleep environment for their babies. The program includes a crib with a mattress and sheet and a kit that includes a sleep sock for a baby and informational resources, pacifier and a children’s book. To qualify for the program, mothers must be pregnant or have an infant younger than 1 with no safe sleep environment, and must be Women, Infants and Children- and Medicaid-income eligible but not required to be part of the WIC program. Ardner said the program includes a session that lasts about an hour, with families watching a video about safe sleep for their children and how to put the crib together. Parents also are assessed to see where the baby currently is sleeping and what they should do to make a better sleep environment. She said they also help parents put the playpen together if they have questions and conduct a two-month follow-up appointment to make sure everything is going well. Ardner said the program, in its second year, had been established due to a need in the county. She said the most recent sudden infant death syndrome-related death was in 2015 and said the health district wanted to educate parents and provide services to families to prevent SIDS. Parents, Ardner said, should follow the ABCs – the baby should sleep alone, on their back and in a crib. The program is offered through a grant from Ohio Department of Health. The district partners with the department to provide playpens to families in the county, said Andrea Cook, director of nursing. The district can distribute 28 cribs each grant year and has distributed about 15 so far, Cook said. For more information or to call about the Cribs for Kids program, call (419) 447-3691.